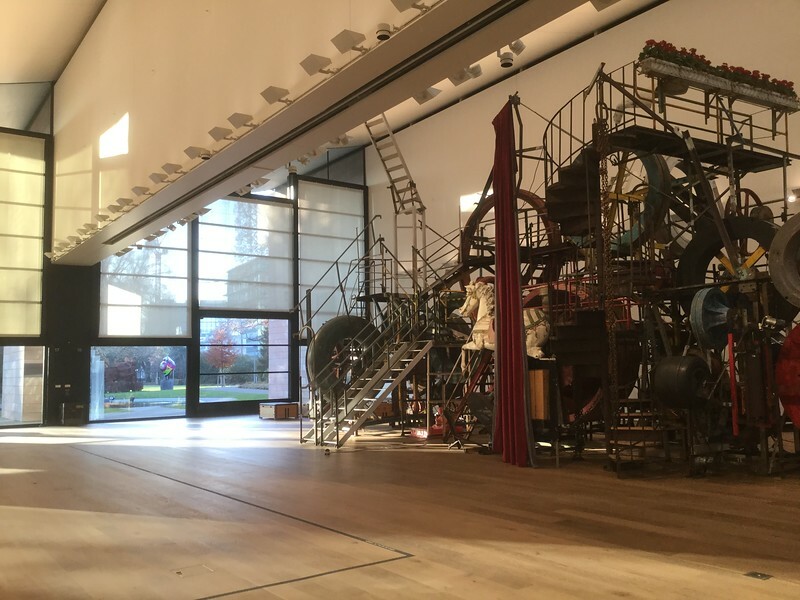 Tinguely produced some huge sculptures, and I'm fairly sure I remember this one from the Tate. The switch is at the front, near the horse, and I spent most of the movement-time there before going exploring and finding a wonderful joke that I am unable to show you. The dark-brown rectangle to the right of the horse is a rusty panel, and it moves up and down to reveal and hide the world's cheesiest "View of Venice", done entirely in shades of gold. I was too busy laughing to be able to get my camera out, and when I stepped on the switch again, nothing happened and the panel remained down. The sculptures seem to have an enforced rest period to stop them wearing out; I'd experienced this elsewhere in the gallery when I wanted a second performance, but here it was particularly frustrating.